It just makes sense to store honey in a bear, because who loves honey better? 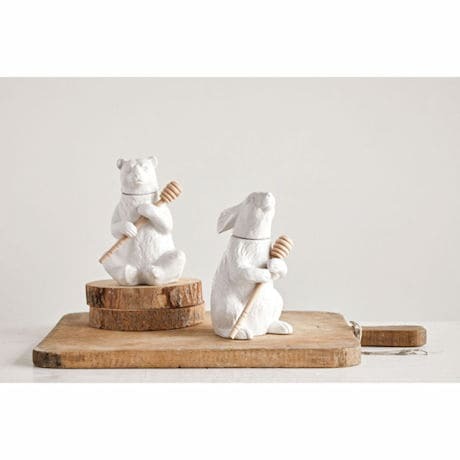 Ceramic with a smooth white glaze, he comes with a bamboo honey dipper. About 7" high. Hand wash.